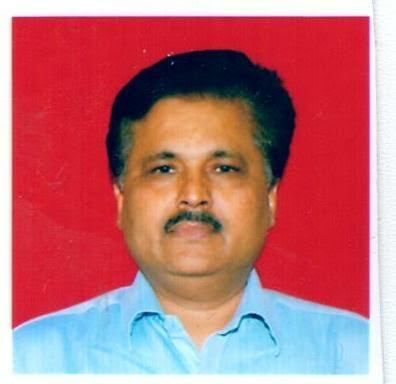 Dr. Subhash C. Thaledi, an Indian Broadcasting (Programme) Service (IB(P)S) officer and a senior broadcaster of Doordarshan is currently deputed with the Directorate General of Doordarshan, New Delhi as Asstt. Director of Programmes, Policy & Coordination &N orth-East related Matters. He is also associated with ABU ROBOCON which is being organized by Asian Broadcasting Union at International and National level to promote the robotics activities among engineering and science student. He has served the AIR and DD organizations in various administrative capacitieswiththe experience of more than 25 years in the field of programming & broadcasting. Dr. Thaledi maintains a high standing academic records with a Ph.D. in Education, Master in Education, Master in Journalism & Mass Communication and Master of Arts in Hindi Language along with merits as Gold Medalist. He is recipient of various national & state level scholarships & awards. During his broadcasting tenure he has undergone various courses & trainings at prestigious institutes like FTII-Pune, National Academy of Broadcast Management (NABM), AIBD, ABU and BBC World Service Trust. He has served as a Dy.Director, Information and Public Relations, Dept. of Information & PR, Govt. of Uttarakhand for two years. He was closely associated with the mega project of Kalyani Health Magazine of Doordarshan which has a impressive impact in the field of RCH health issues. He has a long experience of multi-cam productions & live programmes, EFP Rural based programmes, ENG programmes and New & current affairs programmes. Dr. Thaledi has also attained several appreciations for his distinguished service in the organization. He has served at AIR/DD Kendrasincluding AIR-Lucknow, AIR-Najibabad, DDK-Dehradun, DDK-Daltonganj(Palamu), DDK-Delhi in various capacities. He has also produced various Radio/TV programmes and performed the various important coverage of Radio and Doordarshan.